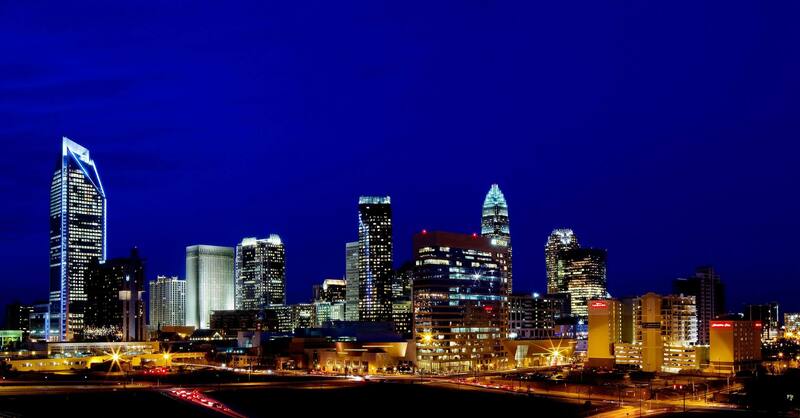 The HUD “Best Practices in Housing and Community Development” symposium in Charlotte represents the second opportunity communities have had to share among themselves their knowledge and experiences in successfully planning and implementing HUD programs. This year HUD agency-wide identified 461 “Best Practices” in 272 Blue Ribbon communities, where counties, cities, states, non-profit organizations and their private sector partners, established new benchmarks of success for implementing HUD programs. The Kansas Department of Commerce & Housing was thus recognized for its program innovation and use of HUD monies leading to the creation of the North Central Kansas Community Network. The North Central Kansas Community Network (NCKCN) is an outgrowth of a 1995 Demonstration Grant awarded to Mitchell County, Kansas by the Kansas Department of Commerce & Housing shortly after a rural six-county area lost 130 jobs directly related to a single plant closing. NCKCN was initially set up to foster greater communication amongst the communities affected by the job loss so that they might better coordinate their responses to the situation. Furthermore, the system offeed a means of communicating what job opportunities were available throughout the region to those individuals directly affected by the closures. The individuals were thus benefited by leads on new jobs, as was the region by having the opportunity to preserve its labor force through the retention of the individuals and their families. Today, NCKCN is accessible to a virtual community of 16,500+ residents living in ten (10) communities scattered across nine (9) counties. Internet service is provided at no cost to all schools, libraries and units of government and to Low-Moderate Income (LMI) households. 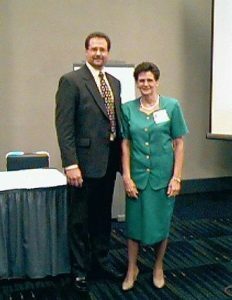 Mary Faye LaFaver, Director, Community Development Division, Kansas Department of Commerce & Housing, is shown here with Todd Tuttle, NCKCN System Administrator, prior to addressing the HUD “Best Practices” Symposium at The Charlotte Convention Center. Her Presentation followed the state being nationally recognized by the U.S. Department of Housing and Urban Development for KDOC&H’s involvement in helping create the North Central Kansas Community Network (NCKCN). 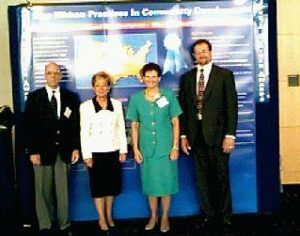 Shown standing in front of a poster entitled, “Blue Ribbon Practices in Community Development” are (left to right) Bill Rotert, Regional Director, Kansas City Region HUD Office; Marilyn Graham, CDBG Program Administrator; Mary Faye LaFaver, Director, Community Development Division; and Todd Tuttle, NCKCN System Administrator.